I have been trying to stay away from MMORPG games since they are so addicting and time consuming. 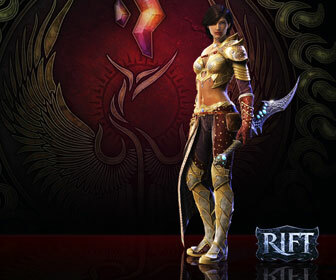 I have been MMO sober for over a year now but the new game “Rift” looks too damn good for me to ignore. The videos I have seen of it look pretty nice and I have read really good reviews on the game. [adblockingdetector id=”1″]One thing I did notice that sets this game apart from other MMO games is the minimum system requirements as far as the CPU goes. It needs at least a 2 GHz Dual Core CPU to run. At the time of this writing there are not many MMORPG games I have seen that need “dual core” processors as the minimum. The rest of the requirements aren’t so demanding. The full minimum and recommended PC system requirements are listed below. If you are unsure of any particular computer specification you may have that is not a problem. Just follow this tutorial and it will show you how to find all of your PC system specs. If you have any QUESTIONS about INSTALLING Rift or are not sure if your computer is COMPATIBLE with Rift, feel free to ASK FOR HELP BELOW!